Go beyond standard name tags and create something unique with London Rubber Stamp. 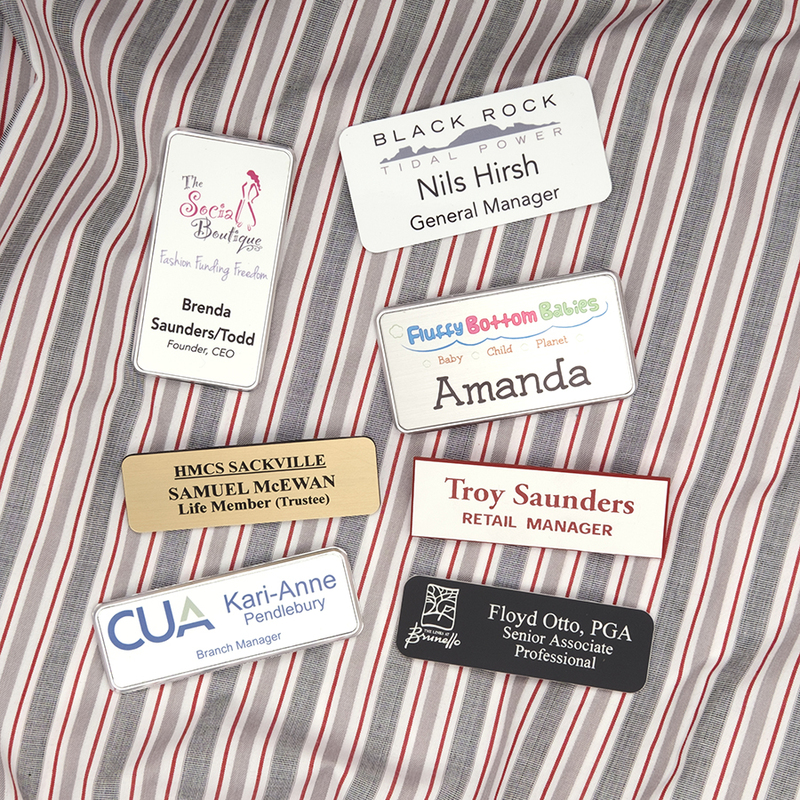 Our custom engraved name tags are available in a wide variety of colours. You can choose from several different backing options. 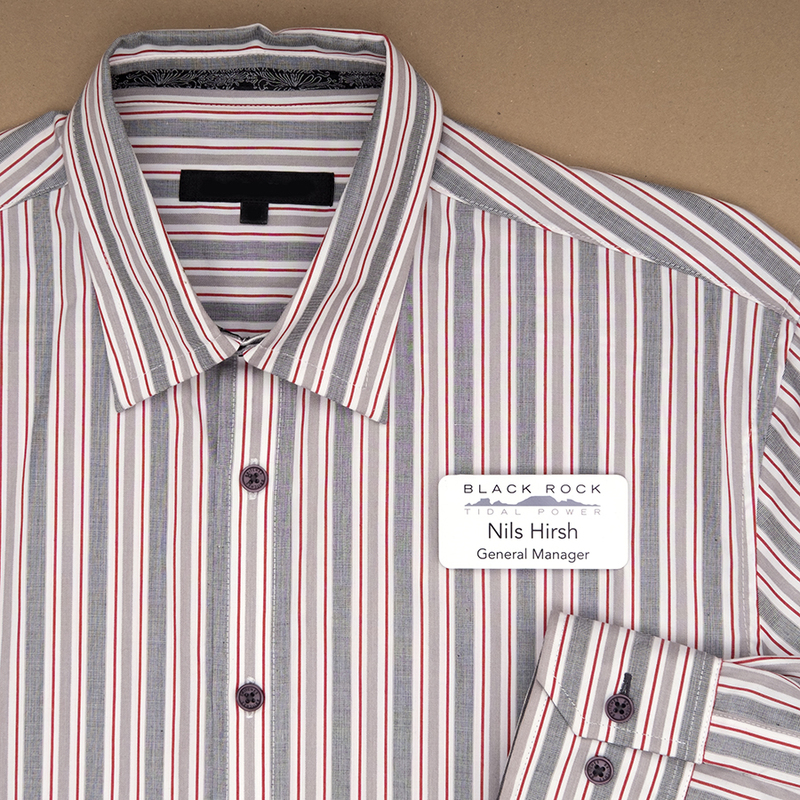 Our magnetic backs are the most popular as they are easiest on clothing. 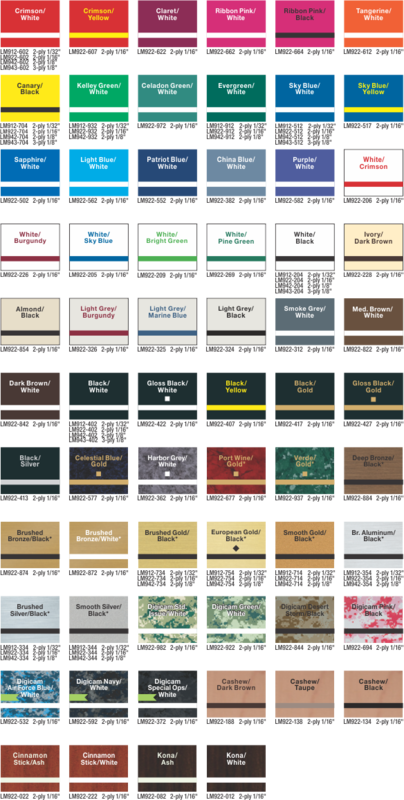 LRS also has an assortment of full colour name tags that can be printed on different substrates. They are available in different sizes and can be combined with an attractive badge frame and a variety of fastening styles. Using a variety of colours and fonts, we can make name plates you will love. Our standard name plate is 2” x 8”, but don’t feel restricted to that measurement as we are pleased to custom create according to your exact specifications. Great for both indoor and outdoor use, promote your business or create something unique for your home. 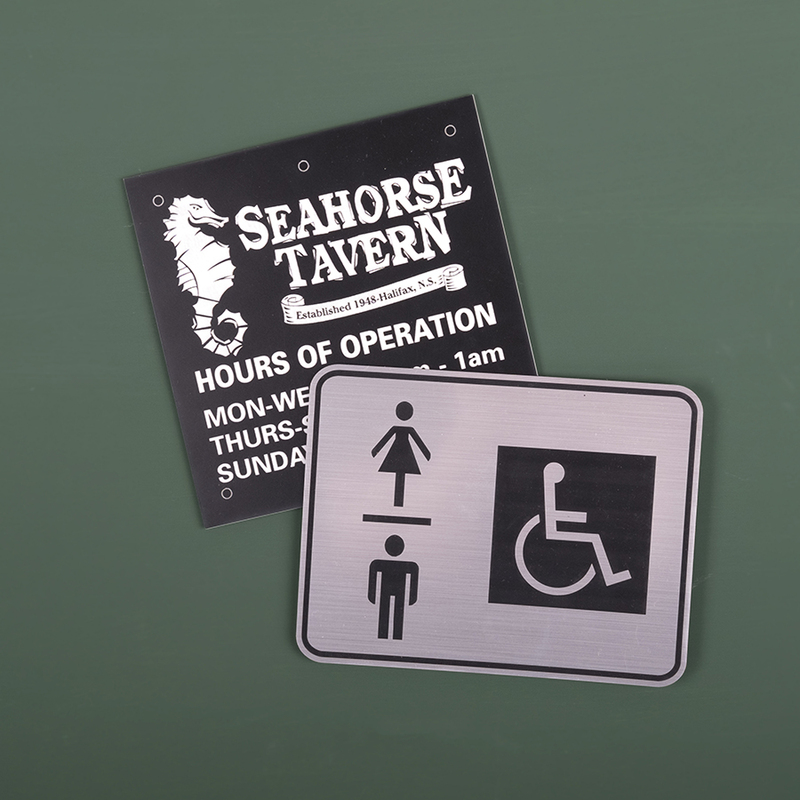 We can display a message up to 32” x 18”. Choose from a vast array of colour options.